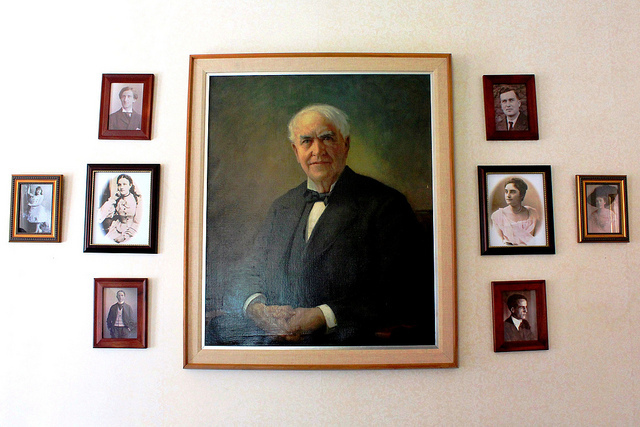 Thomas Alua Edison was born on February 11, 184 in Milan, Ohio. He grew up in Port Huron Michigan. He was the youngest of several children for his father Samuel Edison, Jr. and Nancy Matthews Elliot. Thomas went to school for about three months but the teacher said he was addled because his mind was often wandered. His mother then decided to home school him. He developed hearing problems at an early age due to a bout of scarlet fever infections. Much of his education came from R.G. Parker’s School of National Philosophy and the Cooper Union. His family eventually had to move to Michigan where life for Thomas was bittersweet. It was the skills that he learnt there that made him a great businessman. He developed 14 companies including General Electric which is still existing and one of the largest publicity traded company in the world.